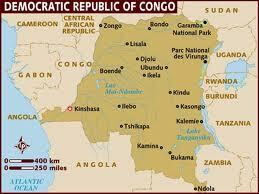 Today is election day in the Democratic Republic of Congo (DRC). I would like to share with you this article by Antoine Roger Lokongo which I found quite interesting and deep, about the third presidential elections in the DRC after 51 years of independence, with a brief history of DRC since independence. I have included some snippets from the article which I liked. You can read the full article on Panafrican Vision; it is entitled: D.R. Congo Democracy at crossroads – One election, two sources of legitimacy. ‘We said we had five priorities: infrastructure; health; education; water and electricity; and housing. Now, how do we deal with these priorities? We need money, a lot of money. Not a 100 million U.S. dollars from the World Bank or 300 from the IMF [International Monetary Fund]. No, a lot of money, and especially that we’re still servicing a debt of close to 12 billion dollars, and it’s 50 to 60 million U.S. dollars per month, which is huge. You give me 50 million dollars each month for the social sector and we move forward. Anyway, that’s another chapter. But we said: so, we have these priorities, and we talked to everybody. Americans, do you have the money? No! Not for now! The European Union, do you have three or four billion for these priorities? No! We have our own priorities. Then we said: ‘why not talk to other people, the Chinese?’ So we said, [Chinese] do you have the money? And they [the Chinese] said, well, we can discuss. So we discussed’. This interview suggests that Joseph Kabila turned to the Chinese only after seeking help from Western powers. That is exactly the dilemma Patrice Lumumba faced. Increasingly desperate, Patrice Lumumba went on an international trip to enlist Western support (including to Washington, London, Brussels…) to have Belgian troops who had orchestrated the secession of Katanga to leave immediately. He did not get the support he expected and turned to the Russians for help. He was immediately accused of being a communist and eventually assassinated. In the same interview given to Gettleman (2009:2), President Joseph Kabila himself confessed that he did not understand the resistance he has encountered from Western powers about the Chinese deal. Global financial institutions such as the IMF, the World Bank and the Paris Club of Lenders put pressure on the DRC government to ditch the Socomin deal with China – a Beijing-based, joint-venture between the DRC’s Gécamines and a group of Chinese state-owned enterprises – as a condition to get its debt forgiven. Some Western donors said they supported the deal ‘in principle’ because it would give the DRC access to capital on a scale it could not receive from anywhere else. But, led by the Paris Club of creditors and the IMF, they raised objections to specific provisions. Joseph Kabila recently outlined some his achievements during his 10 year-long tenure of office, including the organization of the first democratic elections in 46 years, the construction of new infrastructures, the restoration of peace and the reunification of the country. He even told the Congolese parliament to revise budget because the members of parliament allocated themselves more money than civil servants, the army and the police, he ordered the suspension of illegal mining activities in Eastern Congo’s conflict areas but Rwanda and the London Stock Exchange felt the pinch. What happened? On 27 February 2011 Kabila’s residence in Kinshasa was attacked as a result by hundreds of assailants and gunmen ‘from outside the country’, 19 of whom were killed and eight loyalist soldiers were also killed. It was a failed coup attempt according to the official sources. The day the politics of ‘divide and rule’ used by Western powers will no longer work in Africa will mark the beginning of Africa’s renaissance. In the meantime, the DRC, above all, must not unravel – because if the DRC unravels, the whole continent will; making the words of the Martinico-French-Algerian revolutionary thinker Frantz Fanon ring true. Fanon, as we know, once described Africa’s shape as that of a revolver with the Democratic Republic of Congo serving as the trigger. The reality is that Western powers have a hidden agenda: To make of the DRC a ‘Western protectorate in Africa’ while the Congolese themselves want to make of the DRC ‘the China of Africa’. Who will have their way? 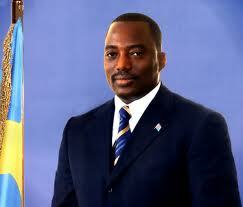 The Congolese people of course but only if they are united; united in the framework of a united Africa.